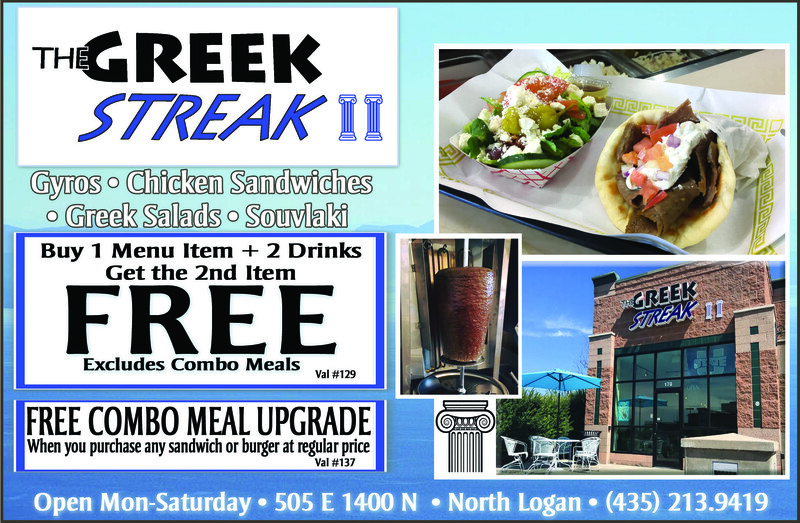 Buy 1 Menu Item & 2 Drinks, Get the 2nd Menu Item FREE! (val#129)excludes combo meals. FREE Combo Meal Upgrade w/ regular priced purchase of any sandwich or burger.